Last week, I answered a composite reader question about everyone’s favorite subject: taxes. This week, I’ll build on that with another composite question. This time about how to scale freelancing work that you might do. I’ve gotten a few different questions about this over the last several months. I’ll try to cover everything you all have asked by answer this composite question. Freelancing is going well enough, but now I’ve got a spike in work that will be more than I can probably do on my own. I’ll need to hire someone, somehow, to do something. How does that work? It’s understandable to wonder this. Speaking from my own experience and what I’ve heard from many others, you’ll probably have your own freelancing practice or side hustle for a long time before this comes up. Or, it might never come up, and you still have a rich happy professional life. But when it does come up, it’ll probably happen quickly. And, you’ll be swamped when it does, since, by definition, you’re looking to hire due to too much work for yourself. So it’s good to at least have a concept of how this works ahead of time. As I mentioned in the last post, I am neither lawyer nor accountant. I’ve hired subs and done a lot of business this way, but I am not a professional advisor. What you’re getting here is my best understanding and things that have worked for me in the past. Use the advice here to orient yourself and get a feel for how this works. But before you actually go execute this stuff, you should contact your lawyer and accountant to verify that it’s right and that it makes sense for your situation. And, once again, a lot of this may be US specific, but I hope non-US readers can get something out of it as well. Can I just pay someone, the way I pay the neighbor kid to shovel my driveway? This is the first thing that might occur to you. You’ve got to deliver 4 modules by the end of the week, and you can only possibly deliver two of them. Can’t you just offer a fellow developer $1,000 or whatever in exchange for her doing the other two? Seems simple, and it should be simple, you think. That’s what I thought. And it would actually be simple if not for the tax man. 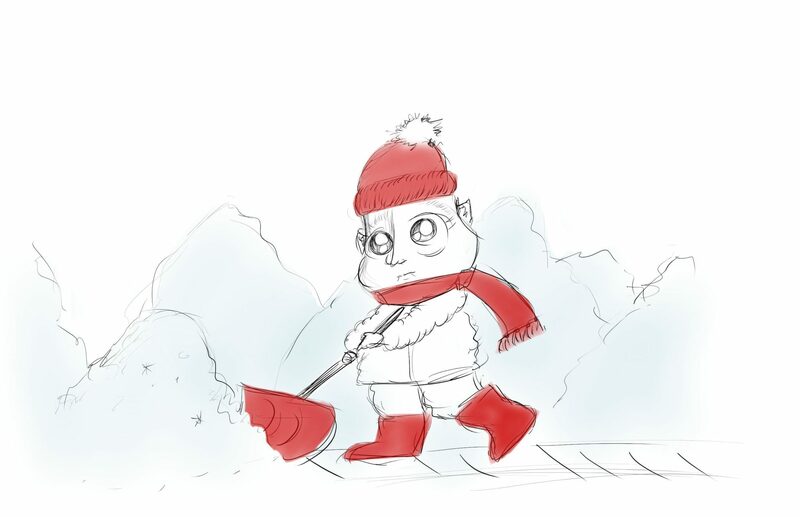 Think of the kid you give $10 to shovel your driveway. Seems innocent enough and like pure commerce in action, right? Wrong. In the first place, you’re probably technically violating some kind child labor law and possibly running afoul of minimum wage laws. But, even if that little scamp were 18 and of legal working age, this would still represent an illegal transaction because he’s almost certainly not making a note of that $10 of income so that he can report it on his tax return. I mention all of this not to throw some kind of libertarian shade at the government but because it matters a lot to your understanding of how life works when you’re independent. Over the years, the US government has passed a lot of complex laws aimed at extracting tax money in all sorts of ways. This means that a lot of the things you have to consider are aimed at making your activities transparent to the IRS and giving them their cut. Upshot is, don’t model your business dealings after simple ones from your personal life. Most people routinely violate tax law. Unless your motto is “find a penny, pick it up, and then report it as income to the IRS,” you’re guilty. It’s just that the IRS doesn’t really care or bother to enforce this. So you can’t apply what seems simple from your personal life to your commercial life because there the IRS will care. When you have 4 modules and want to pay Alice to write 2 of them, a lot is happening as far as the IRS is concerned. You’re incurring a business expense and Alice is realizing income. That means a tax deduction for you and tax liability for her, respectively. And a second, more subtle thing also happens. The IRS also wants to make sure that you’re employing Alice for all intents and purposes and then technically making her a contractor. Because then they don’t get the sweet, sweet payroll taxes that I mentioned in the last post. The US, has, over the last century, gradually ratcheted up taxation on citizens, both in amount and complexity. It started simply with a percent cut and then gradually became more and more complex as the winds of political change blew in various directions over the years. These days, you have state and federal income tax as well as medicare and social security. You pay a lot of that, but your employer also pays some of it too, both at state and federal level, depending on the tax. The taxes themselves constitute an expense, and so to does figuring out what taxes to pay. The US government has created such a complex tax code that you’d be hard pressed to count the billions of dollars spent just on complying with it. As that happens, industrious companies and individuals constantly look to take advantage of that complexity to look for loopholes. And, some time back, companies successfully did just that. Wage employees are expensive. They have all kinds of benefits and employers have to pay payroll taxes on them. Contractors, on the other hand, are cheap. So a few decades ago, companies figured out that they stood to benefit by firing all their employees and re-hiring them as contractors. Once the IRS caught wind of this game, however, they engaged counter measures. “Oh no, no, no,” they said. “You don’t get out of payroll taxes that easily.” And so followed all manner of regulations about who could and could not be considered a contractor. And they took their pound of flesh from anyone treating contractors as employees. What Does All of This Mean for Me? Alright, back story established. Through a combination of taxation and burdensome enforcement, the IRS has made it pretty counter-intuitive to hire people in any capacity. You can and should do it because you must suffer this growing pain if you want to, well, grow. But I also advise you put it off as much as you can and minimize it. If you can do the work yourself, do it yourself. Don’t bring Alice on board simply because you’re tired. Do it instead if you can’t avoid it and/or if you want to get into the habit of scaling up your work. It’ll be the biggest hassle the first time, and then you’ll get used to it with all of its pains and annoyances. They’ll go from sharp things to dull aches. First things first. 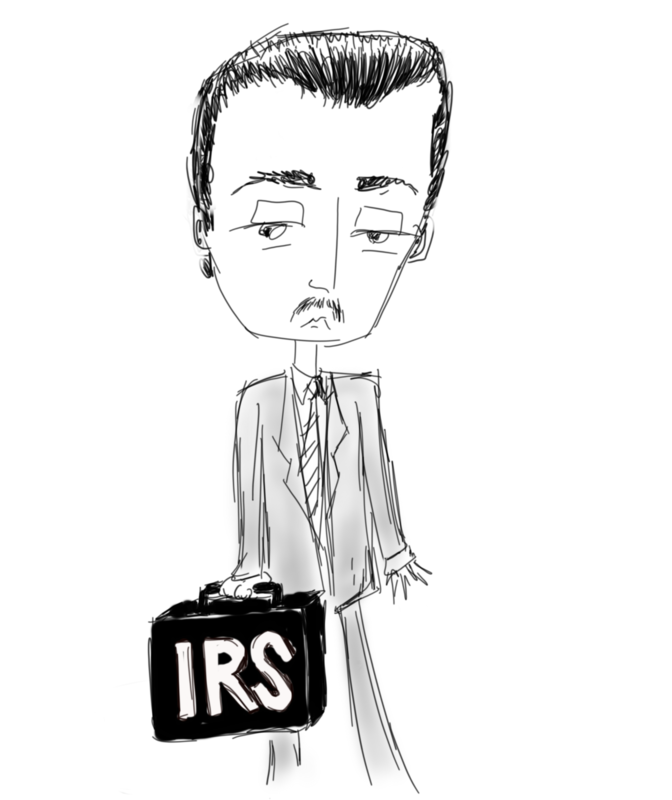 You do have some easy ways to scale at your disposal that the IRS really doesn’t care about. In the first place, have a look at this site, which offers some good guidance. As they point out, you don’t need to tell the IRS about any subcontractor that you pay if you give them less than $600 for the year. Secondly, if you’re dealing with vendors taking payments via Paypal or credit card, you also don’t need to worry about treating them as subcontractors for tax purposes. This applies obviously to products and such, but it can also apply in some interesting situations. I’ve historically paid something like $2,000 per year to a virtual assistant firm, which even includes a conceptual hourly rate. But I don’t report this for two reasons: I pay by credit card and they’re in India. So when you look to scale up, you do have a few options that keep it nearly “kid shoveling the driveway” easy. Keep the amounts small, look overseas, and look for entities that offer you more productized-service-y things via credit card or Paypal. Alright, let’s say there’s no getting around hiring Alice for a few thousand dollars worth of app dev. What does this mean for you, legally and financially? Well, first things first. When you agree to this work with her, ask her to fill out, sign and return a form W-9 to you. This is a dead simple form, as far as tax stuff goes. And her giving it to you is a marker signal to the IRS. You’re telling them, “I’m going to give Alice some money, which I will claim as a business deduction, and Alice is not — I repeat NOT — an employee of mine, so please-oh-please don’t come after me for payroll taxes.” You then just keep that form for your records. Then you and Alice do business together and life is magical. Time goes by, and before you know it, it’s the following April and you have to pay taxes. Now, you go out and you buy something called a 1099-Misc form. It’ll come in triplicate, and you’ll fill it out with Alice’s SSN (or tax ID), how much you paid her, and miscellaneous other details. Then you send one copy of the form to Alice, a second copy to the IRS, and you keep the third. This is the protocol by which the IRS makes sure that both your expense deductions and her income claims are on the level. Let’s say that you and Alice do a lot more business together. So much business, in fact, that she starts to walk, talk, and quack like your employee. Think of it looking this way to a reasonable observer. Does she come to your office every day? Does she work for nobody but you? And does she work for you 50 weeks per year? If you start to answer yes to more and more questions like these, you have a reckoning. You probably need to either stop that or else you need to hire her as a proper employee. If you don’t, the IRS may fine you, and your state might come after you for labor law violations or something. We’re getting to the edge of my knowledge. What About Hiring W2 Employees? I’m afraid I’ll have to beg off here. I’ve made a conscious point not to hire employees since going off on my own. I like people, I like teaching, I like mentoring, and a like an awful lot of aspects of the corporate world. HR-style administration is not one of those things that I like, and I don’t miss having employees and responsibility for them. As I’ve said many times, I don’t want bosses or employees — I want partners. So I really can’t counsel you here too much. Just this week I set up a payroll, so I know what that’s like. But as for all of the benefits administration and requirements for full time employees, I don’t know. The only advice I can give you there is that the laws are somewhat easier on small business owners, and that they tighten up at some knee point where you hit a certain number of employees. But beyond that, you’re out of my depth. So with all of this in mind, what should you do when you need to scale up? I’ll recap it with the heuristic wisdom I follow for myself, such as it is. When you have extra work, first look to see if you can satisfy it with some kind of commodity service, like a VA firm. Also, you should favor doing business with people in other countries when possible, since the IRS doesn’t care about their income. (I don’t go out of my way for this, since I already issue domestic 1099s anyway, but it’s a good way to put off the paperwork). Once you have to start hiring domestic people and you’re giving them more than $600 per year, you need to get a little more serious. Stay on top of your paperwork and your documentation. Get W9’s. Send out 1099s. Don’t wing it. And, I’ll wrap by saying that, by the time you’re hiring contractors, you should definitely have a lawyer and an accountant to make sure you’re truly dotting i’s and crossing t’s (and to make sure advice you get from cranks like me on the internet is actually sound). By the time you have enough scale to pay other people, you’re doing alright for yourself. Invest in a lawyer and accountant and consider it insurance against future headaches and nightmares. You might not love spending this money, but you’ll love phone calls from the IRS and Department of Labor a whole lot less. Yeah, I’m with you on the perverse incentive structure that makes it easier to contract with people overseas than domestically. And, that’s a good analogy that I can relate to. That seems generally true with a lot of going off on my own — if I’d known all of the things I’d have to worry about or learn, I may well never have done it. we need smaller government for many reasons and this is one of them. I think “small government” covers a lot of ground (much of it political), but the main thing I’d appreciate, across the board, would be less *complex* government, from a regulatory perspective. It seems like political horse-trading is essentially a complexity arms race — more bargaining means more and more regulations and complexity. Rarely does it ever go in the other direction. so if you as a business owner and you can only pay 13.50, you can’t hire now, and that person that want to work for 13.50 is not allowed to work. government knows better than the people. that is the left agenda. everywhere in the world.